"All of Stephens music, regardless of the genre or medium, is pure cinema and one does not need moving pictures to have the story told. For Retrograde, his score is both delicate and fiercely charged. I cannot thank him enough for the mountains he has climbed and conquered to deliver a wondrous, musical, 84 minute soundtrack and in a miraculous, death defying seven days!" "Stephen, Over the last hour or so, I've been reviewing the cues once again with a fresh ear... all I can say... AMAZING!!!! Where does this stuff come from?! 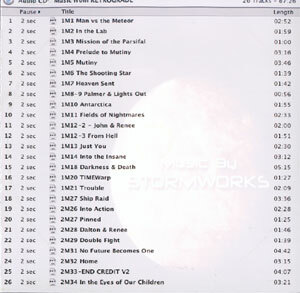 This is your best film score to date!!!! I am so proud and thrilled by your work.... You've really knocked my socks off!!!" 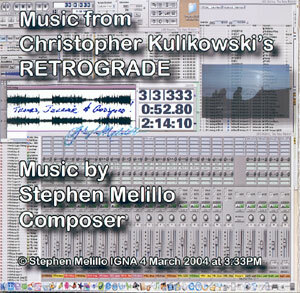 "Stephen, The music for Retrograde is incredible, beautiful, and special. I cant stop listening to it! I am so proud of you!!!"